I joined Eastern Coalfields Ltd (a subsidiary of Coal India Ltd, a government of India enterprise) 1 on February 16th, 1976 as a Personnel Officer 2. I was posted at Kumardihi Colliery in the Bankola Area 3. My knowledge of coal fields was limited to the recent mining disaster at Chasnala coal mine 4 a few months before my joining, an incident that alarmed my parents who tried to persuade me to turn the offer down. I dared to go against the will of my family and joined ECL. The experience that I recount was something of an initiation by fire. It was a scorching summer day on the 6th of June, 1976. 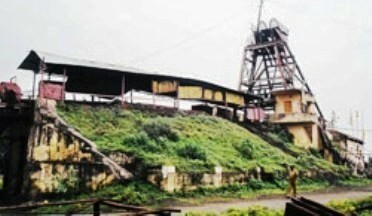 The coal mines under ECL were observing ‘Production Fortnight’ 5. Within this fortnight, the management made every effort on ‘Raising’ as much coal as possible. Promotions and production bonuses were linked to the volume of ‘Raising’. The spot from where coal was picked was called ‘Face’. The coal was produced mainly by the technique called, ‘blast through explosive.’ The spot on the surface of the mine from where the lift went down to the mine was referred to as the ‘Pit Top.’ From there it reached the lanes beneath leading to the Face. The lanes were provided with rails allowing manual movement of coal carts. The height of the underground lanes could be that of a person, or lower. The roofs of the lanes were supported by wooden sticks called ‘Rola’. They prevented the roofs from falling. For some time, a few labourers, who were old and experienced, had been complaining of sounds coming from the Rolas indicating that they were possibly strained. As a preventive measure, the management stopped operations and had the entire labour force withdrawn from the Face. The manager together with a group of underground officers inspected the Face and confirmed fears that the roof may collapse soon. I had barely completed four months at my work in the colliery and wasn’t even aware of the spatial locations of the mines. I was more than a little nervous, trying to figure out how if anything was indeed wrong with the mine at Kumardihi, the officers at Gurugopinathpur anticipated it. The phone rang again. It was the private secretary to the general manager asking me to hold the line. Within moments, I heard the GM say, ‘Gentleman, there is something wrong in the mine. Who else is there in the office?’ I said, ‘No one’. GM responded urgently, ‘Please stay there. The rescue team has already left and will reach soon. Wait for the team and keep the matter under wraps.’ He disconnected. I was totally perplexed being ignorant about the affairs of coalfields. I anxiously waited for the rescue team to arrive. The team reached soon enough to be followed by the GM. They rushed to the Pit Top with all the necessary equipment. The news that there may have been something wrong in the mine, however, spread very quickly to the officers’ residential complex, the staff quarters and the labour colony. The family members of all employees irrespective of rank, assembled in front of the office. Some tried to get to the Pit Top. Everybody was extremely anxious to know what had happened and more importantly who were underground. The security personnel had a tough time tackling the people anxious to have a look at the ‘Pit Top Register’ which recorded daily entry to the mine. The Register was found missing. The ‘Cap Lamp Register,’ another document that backed underground entry record was also missing. Unable to overcome the security blockade, people made a beeline for the office, with some palpably overcome with grief and anxiety. The wife and daughter of Mohammed Saqib, a mining sardar7collapsed on the floor of the veranda. I was at my wits end, desperately trying to console and control all the people gathered. I had an earlier experience of working with the evacuees of East Pakistan during the Bangladesh Liberation War in 1971. I had to serve them round the clock. I spent hours with several elderly persons who had lost their family members, their home and properties and who shared with me instances of their own sufferings, those of little children and of the physical abuse of women. I made use of my experience, trying to help the family members remain patient and confident in a different situation. The news soon reached that the rescue team that had gone underground was ready to come up. In an instant, the veranda was clear, as all flocked to the Pit Top, apprehensive about casualties if any. The GM did his best to keep them calm. The rescue team, however, returned empty handed but said that a large quantity of coal dust was rolling down to the mouth of the lift underground and that they had not been able to reach the Face. The GM immediately called upon a larger team with more powerful equipment to go underground. After about half an hour, there were indications that the lift was ready to come up. Everyone waiting were familiar with the sound that signaled the movement of the lift. Their restlessness increased. The rescue team emerged with one person fully covered with coal dusts and unidentifiable. Ambulances were on standby. He was immediately transferred to the hospital at a neighbouring town. The rescue team repeated this operation. All the six persons who had gone underground were rescued and sent to hospital. Though wounded severely, all survived this near calamity. I visited the hospital often. Mr. A K Datta, the assistant manager was among the six injured officers. He told me that during one of the routine inspections, they had identified the problem and feared that the part of a roof would collapse soon. The sound coming out from the wooden Rolas was the indication. On the fateful day, officers led by the manager had gone down to the mine on another routine visit. After the inspection was done, they were on the way back. When they were almost near the lift, suddenly with a huge noise the roof collapsed close to the Face. The officers who were safety trained immediately lay down on the ground and tried to inch their way to the lift, crawling on their fours. The force of the air was so high that they lost control and were dragged through the lane towards the lift mouth. They were severely injured. The coal dusts were rolling through the lanes. The body and face of the officers were covered with dust; their eyes were shut, nose blocked and they were extremely parched and soon fainted. Mr. Datta said, he felt severe pain in his chest and his knees hurt as if the ribs and bones were broken. He did not expect to come up alive. Timely intervention and immediate rescue operations saved thousands of lives in what could have been one of the biggest mining disasters. 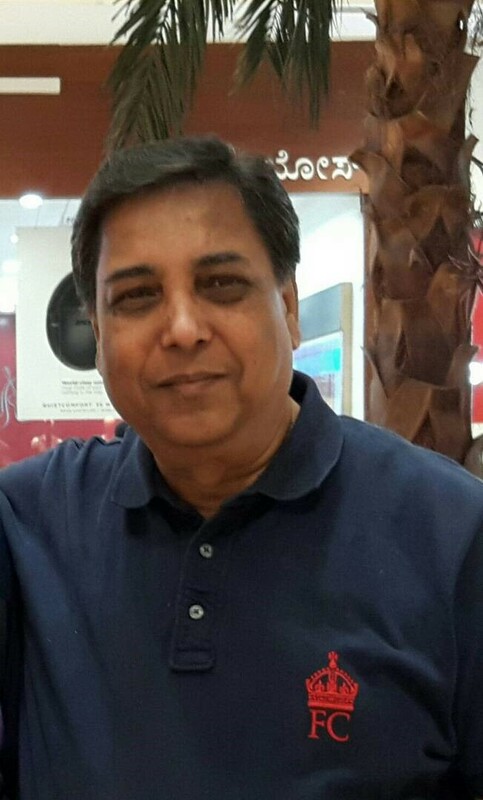 Subrata Kumar De lives in Mumbai.